Geometry is not just for the math whizzes. This Cube Lace Infinity Scarf Free Crochet Pattern steals the show with its block stripes. It has such a unique design. 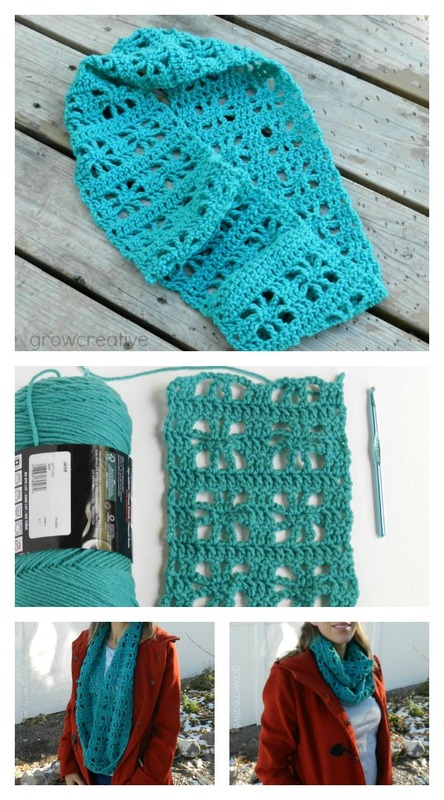 At first glance this stitch pattern almost looks like the butterfly stitch. However, it’s worked a bit different to create an openwork cube motif. Whether you wear it long or bunch it up around your neck, this handmade crochet fashion will add elegant handmade touch to your outfits. The blue works really nicely with this pattern, but you can always customize it to make it your own. Enjoy.